When we install a new copy of Windows it normally runs very smooth and the computer performance seems very high. But gradually, the computer starts responding slowly and takes time while we turn on the computer, running any programs and while turn off the computer. The computer performance starting to get compromised when we start installing software on it. There are many applications which installed a lot of components like to check the update of the software and put that component in computer startup list. 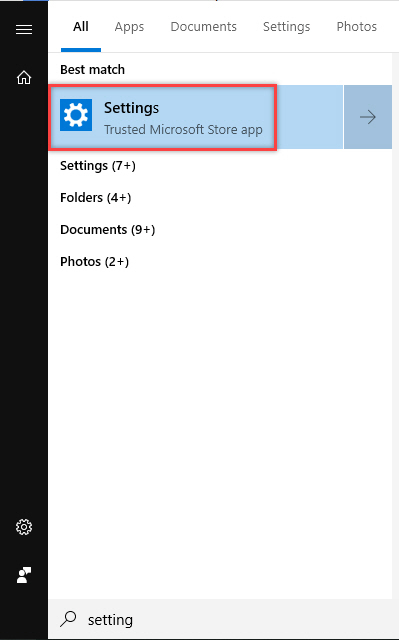 So when the computer starts and we log in to the windows there are many applications starts with Windows startup in the background and takes time, I will explain how we can disable the startup applications in Windows 10 so that Windows 10 loads much faster like before. 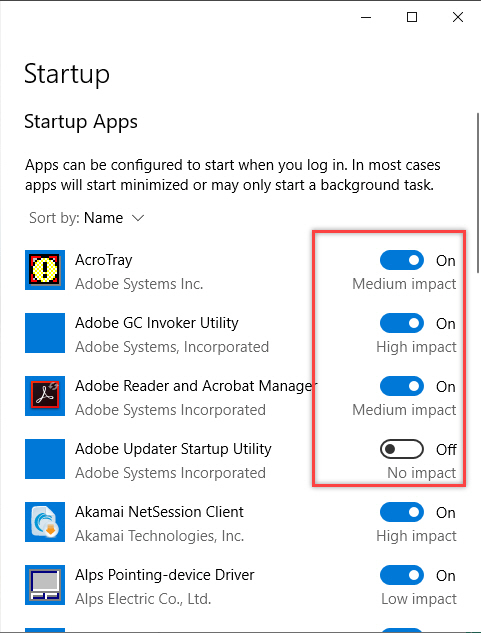 To disable the startup applications follow the following steps. Click on start menu icon and type settings it will load settings on top. Click on it to open the settings window. Once opened, click on the Apps icon. This will load Apps related configuration windows. 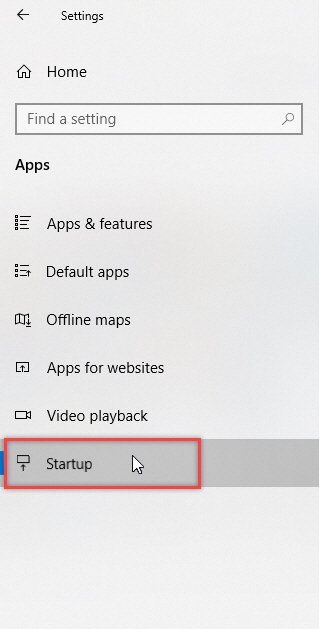 On the side options menu, click on Startup. On the right side, it will show you the list of applications that will start when the computer will start. There is an On/Off toggle button from where you can turn the startup of application On/Off. 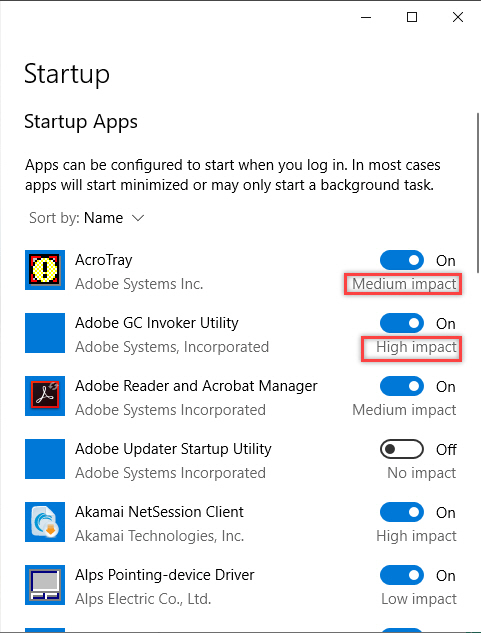 This also shows how much that startup application impact the computer performance, so if the startup application is impacting highly and that is also not important then turn that application off. 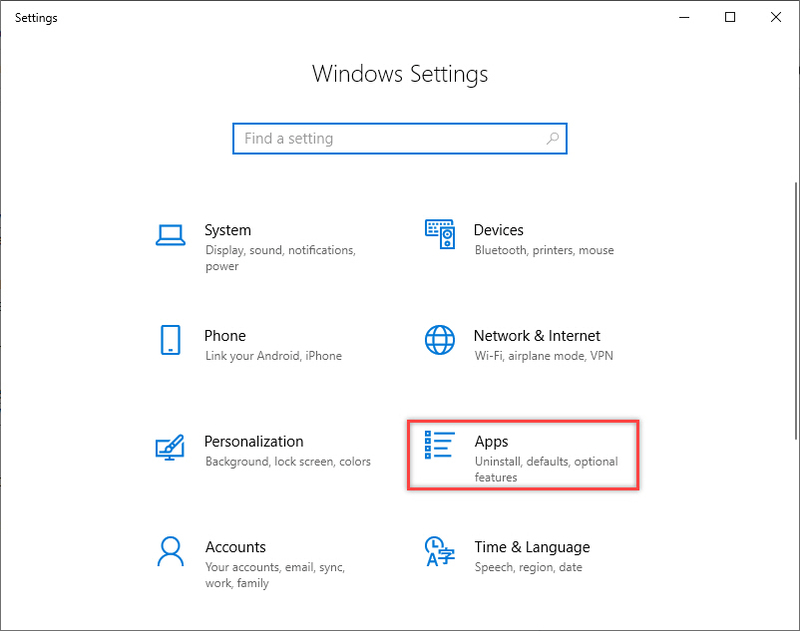 Following these steps can help you to disable startup applications and enable your computer to boot faster and ready for your use.